Dinah, I don't think you need to comment. Your piece with Anne in the Sun was well written, thoughtful, and clear. The issue was medical use of marijuana, and the angry ("angry" is a soft characterization of some of the comments) responses almost entirely came from people who favored free availability of marijuana under any circumstance, with no mention of medical use. If you had written that medical marijuana should not be available in vending machines in elementary schools, you still would have been tarred and feathered. I have to say there is a built in bias in the Baltimore Sun's comments toward someone who feels really vehemently about the medical marijuana issue. I tried to type in the below post and you first had to register with the newspaper, then they send you an email that you have to respond to, and then, presumably, if you haven't given up, you can comment. I didn't even get my registration email yet from the newspaper so I'm not sure what happened. As you might guess, this discourages people who might want to just say "hey, that was a good article. It made me think." I too live in Oregon where medical marijuana can be obtained. I never thought about it, but I thought the article made a good point of leaving physicians out of the equation relating to the dispensing of this drug. It's true that there is abuse of the medical marijuana laws. For my work, I once had to contact a medical marijuana clinic to evaluate an issue related to the person's employment. The voice message had some message implying that, no matter what, this clinic could "hook you up." It wasn't all that medical. Although I had been in favor of medical marijuana, this article made me realize that the issue is more complex than I realized. I am in favor of straight up legalization and I don't know now how I feel about the medical marijuana. Read your piece, Dinah and Clink. What I hear you saying is that cannabis ought to be produced, regulated, and sold by pharmacies as any other prescription drug. The most salient reason you appear to give is that Cannabis is dangerous. Sure it is. So is Bourbon. But thank God I can buy that over-the-counter. How come I'm presumed to be mature enough and enough in control of my impulses to buy and consume Bourbon and not marijuana? If the production of marijuana were licensed and regulated as the production of Bourbon (must be >=51% fermented corn! ), would you be okay with it? And pot causes Schizophrenia? I thought that was a degenerative brain disease? No, wait! I thought it was a chemical imbalance? Aw, Screw it! It's cuz of the pot! You like bourbon? If you want a few hits with it, I'm sure you would have no trouble finding weed. Please toke responsibly. I'm not terribly in favor of legalizing marijuana. We need one more legal addictive substance? But we do let people take risks for pleasure (hence your bourbon) and so if people want it legal, they won't ask me. There's legal: maybe you could get it at Target, or at GNC or where-ever. But I'm not in that equation. I'd be happy to see it decriminalized. Tickets and heavy fines, but less of diversion of crimefighting time towards hunting down marijuana users, no jail time, and no charges that follow high school/college kids/ whomever, for the rest of their lives. The implementation of medical marijuana in Maryland will have exorbitant costs. I don't think it makes a profit except in states like CA and Co where it really is a farce. I don't want to be nagged for Medical Marijuana cards. If it's regular medicine with a prescription, treated as such, then it curtails the MMJ prescribers who do five minute visits every year and give my patients an okay. And when I have these discussions about how weed is ruining your motivation and making your problems worse, or alcohol, at least it's a discussion, and sometimes people cut back or stop (! occasionally) or even go to treatment (yes, people go to treatment for marijuana) and we can consider it as part of the problem, rather than getting cut off with "my other doctor says this is necessary". The MMJ folks had a 15 year old with Tourette's testify at the Assembly meetings. Apparently another 15 year old testified in support. I'm finding it hard to imagine that these kids have trouble accessing weed, but once it's medical, you know they will need to smoke it everyday, perhaps during school hours. Even if it's legal, but not medical, we can put some holds on it. No mj in jail for anxiety. No mj before you drive/work/take out my brain tumor. No mj for kids. And if it's Medical with a prescription, well, you hope it doesn't do for us what oxycontin and xanax have done....prescription for a very long sleep. Okay, the CPN post is up. Rob, Ice Cream is my substance of abuse. Guacomole, pasta, hummus, any kind of high-fat dip (sour cream, spinach), birthday cake, hot fudge, truffles, crab dip. They do induce a high but it's fairly short lived. A little longer with wine or a marguerita. This is an interesting subject. What I responded to is that the thesis, and legislation, has to do with the making available of marijuana for medical use. Whether it should be legal for any use, or the abuse of prescriptions for other substances, are totally different subjects. Most of the vitriol is aroused in those who want it available regardless of purpose. I am for legalizing marijuana. I think that if it were legal there would be many benefits. Age of buyers would be carefully screened so school kids would not have it nor would school kids be selling it on campuses nationwide. It would add to state tax income which every state in the union needs now. It would take it away from gangs and hence gang members would not be pushing it on 13 year-olds because they would not have a financial incentive to do so. Right now there is a lot more marijuana in high schools than alcohol and that is because alcohol is controlled by the state and marijuana is being pushed by the gangs right on campus. I wouldn't know this but for my time teaching in a low-socioeconomic school populated by gangs. In my opinion, if adults want to use it, let them. You are right, though, that legalizing medical marijuana is tantamount to general legalization because anyone motivated to get a license can get it (at least here in California). I see patients go through alcohol withdrawal and narcotic withdrawal on a daily basis. I've never had patients go through marijuana withdrawal. I see patients obviously damaged by alcohol or opiates on a weekly basis, even daily basis. I've seen patients die from both. I see patients with obvious negative psychiatric consequences of marijuana (anxiety, psychosis) infrequently. Alcohol and narcotics are legal. There is something illogical about these observations. Wow, Roy! Thanks for the observations. I don't use marijuana nor do I have a medical marijuana license nor do I want one, but I did use m.j. in college and I drank beer in college. There was a time I felt I was "hooked" on alcohol and got off it by gritting my teeth and making a firm decision to do so. I had no trouble leaving m.j. behind when I left the college setting and became an adult. I remain cautious of alcohol and limit myself to a single glass of wine to prevent any difficulties. This reinforces my thoughts that we as a nation should not try to monitor adult use of marijuana. The generation that first used m.j. in college is now retirement age. 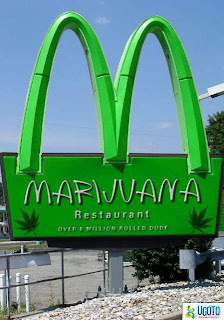 It is about time we legalize the stuff. Most people have had enough personal experience with it without negative effects that it is a mystery to me why it is not legal already. Cigarette smoking is increasingly unpopular, though, so the whole concept of smoke in lungs is not popular. Also there is the oft stated idea that marijuana leads to harder drugs, but I never saw that with my friends. If m.j. were legal it would cleanly and clearly separate it from other illegal substances so there'd be no issue with an m.j. salesperson also selling cocaine or other substance. However, we live in conservative times and marijuana became popular in the brief period when liberal viewpoints reigned. About medical uses of marijuana I have no opinion, because I know nothing about it. As to other use of it, I am against it. I have seen many young people become completely unmotivated through its use. Life became uninteresting, as if it were black and white, while the world seen through marijuana was brilliant color. A lot of lives wrecked. So while it is certainly the case that many people use it responsibly in my opinion that is not reason to use it. None of the people who came to grief intended that at the outset. Take everything you wrote in your last comment but substitute video games for marijuana. I am talking about the kids who cannot stay away for video games long enough to eat dinner, not the ones who occasionally play recreationally. I see marijuana and video games as about the same danger level to the individual. I would say legalize marijuana. As to medical use, I would not worry too much about lack of FDA testing. Most FDA testing happens after a drug has been approved. If enough people die, the drug gets a black box warning. Their pre approval testing is a joke. I am in favor of straight up legalization, I haven't heard any convincing testimony otherwise. Like other drugs such as nicotine/alcohol there can be some restrictions such as age and activity. I wouldn't want to be driving behind someone who was really stoned. I'de never get to where I was going in time. We will never stop the use and it makes no sensi to keep trying. 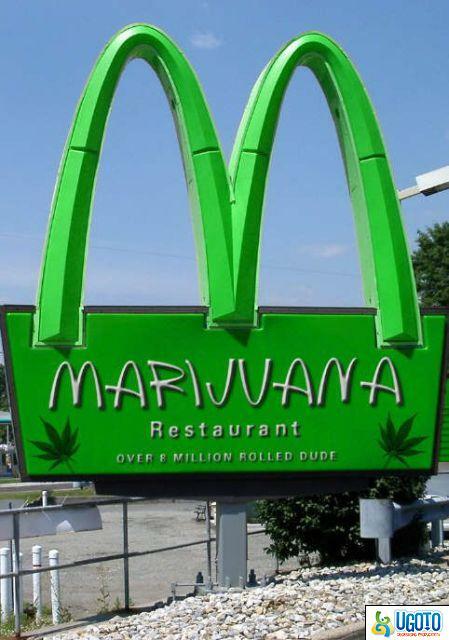 Marijuana will be legal everywhere within several years. Instead of our government giving pot a bad look, they should focus on the pain killer prescription epidemic that has developed over the past couple of years. I agree that making marijuana more accessible and perhaps even available in a form that is less harmful to administer than smoking is where we should be headed. The only worry is people using the drug as a way to escape problems.